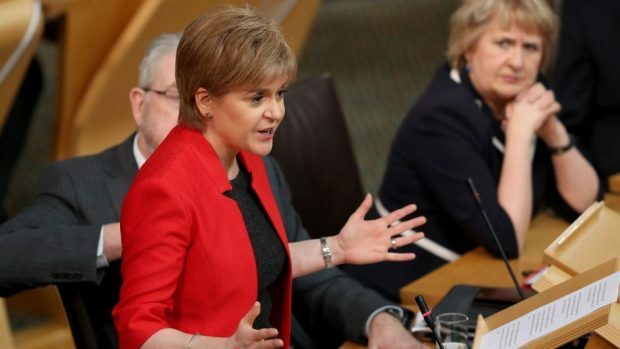 She faced calls in Holyrood yesterday to “pause” the process so that MSPs could establish whether the deal would “destabilise a situation that is already a crisis”. Family doctors in the Highlands were dealt a major blow last week after their colleagues agreed a new contract despite fears it could lead to the “extinction” of rural practices. The agreement – which is backed with £100million of Scottish Government funding in its first year and will come into force on April 1 – aims to cut workload and make it easier to run practices, including introducing a fund to help doctors buy or lease premises, and bringing in measures to reduce the burden of paperwork. However, the Rural GP Association of Scotland (RGPAS) claimed in the run-up to the vote that new funding arrangements would inevitably lead to the “extinction” of rural practices. Shadow Health Secretary Miles Briggs raised the issue at first minister’s questions yesterday, highlighting the case of a rural family doctor in Argyll and Bute who stood to lose 87% of funding. Ms Sturgeon responded: “Of course we must listen to the issues for rural GPs, which is why a short-life working group has been established to look specifically at those issues. “Members do not simply have to listen to the Scottish Government on this; it is the British Medical Association’s position that the concerns that are being expressed by rural GPs are unfounded and that no GP will lose funding as a result of the new contract.